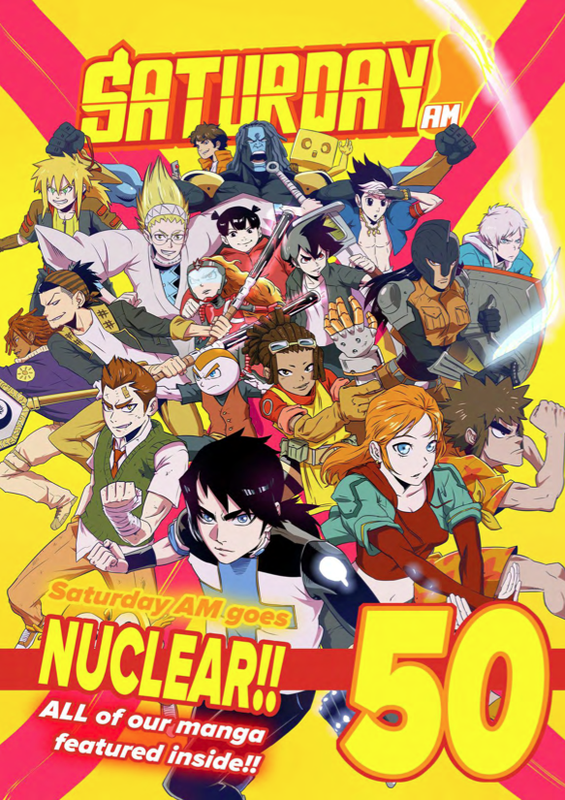 The final five issues of 2014 for the hottest manga anthology online, SATURDAY AM! Race to the first arc conclusion of APPLE BLACK while you marvel at the debuts of amazing new manga webcomics (never before seen anywhere) such as DD Dragoon, Islanders and Massively Multiplayer World of GHOSTS! In our first year of publication, we've had the pleasure of bringing together the biggest names in manga webcomics and interviewing some of the hottest digital creators across art, music and photography. Experience issues #16 - #20 and enjoy an average of 100pages per issue along with free music downloads.